JT-008 Replacement tip for J-040. JT-009 Replacement tips for J-060VT. 3 tips per pkg. JT-010 Replacement tips for J-2040SS. 2 tips per pkg. JT-011 Replacement tip for J-012 & J-020. JT-013 Chisel tip for J-2040SS. 2 tips per pkg. 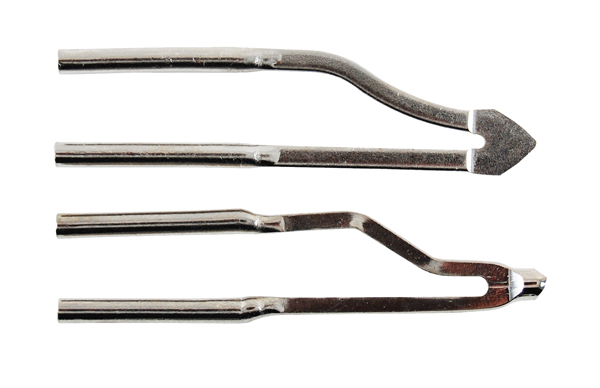 JT-014 Replacement tips for J-015E & J-025E. 2 tips per pkg. 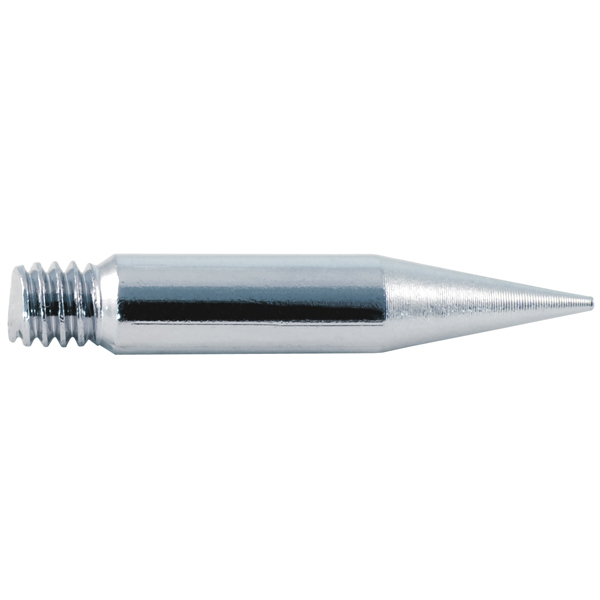 JT-101 Replacement tip (nickel plated copper) for J-025. 1 conical & 1 chisel tip per pkg. JT-102 Replacement tip (nickel plated copper) for J-060. 1 conical & 1 chisel tip per pkg. JT-104 Replacement tip (nickel plated copper) J-100. 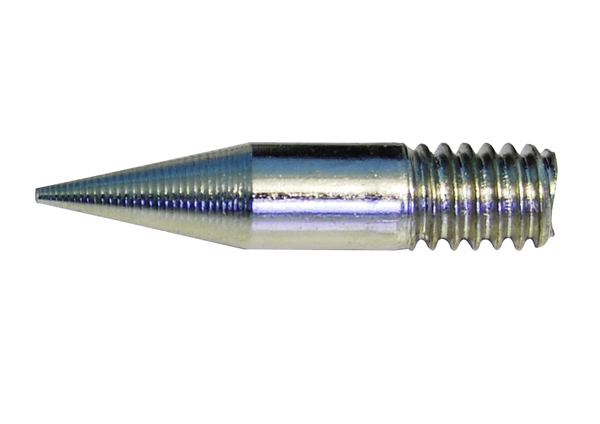 JT-205 Soldering Tip for J-SSA-2. Bevel 45°. 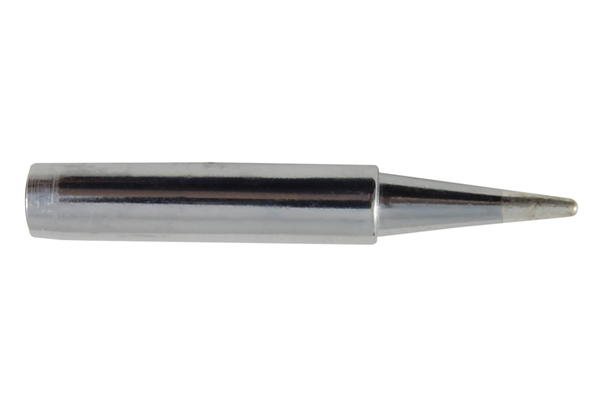 JT-206 Soldering Tip for J-SSA-2. Rounded Point 1mm. 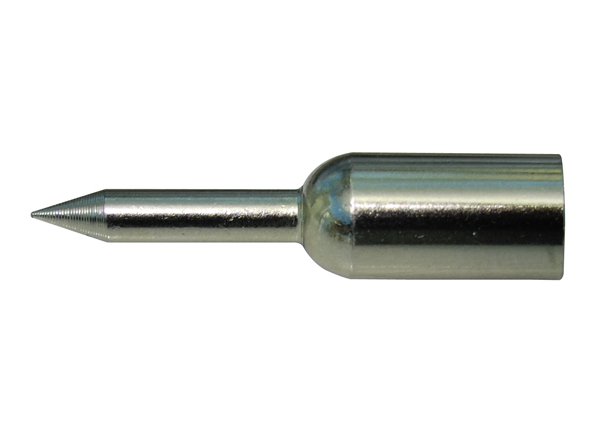 JT-207 Soldering Tip for J-SSA-2. Knife 6.3mm. JT-208 Soldering Tips for J-SSA-1 and J-SSD-1. Rounded Point 1mm. 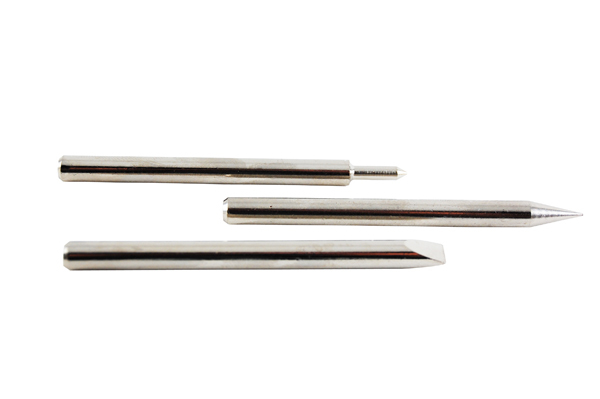 JT-209 Soldering Tips for J-SSA-1 and J-SSD-1. Micro Rounded 0.8mm. 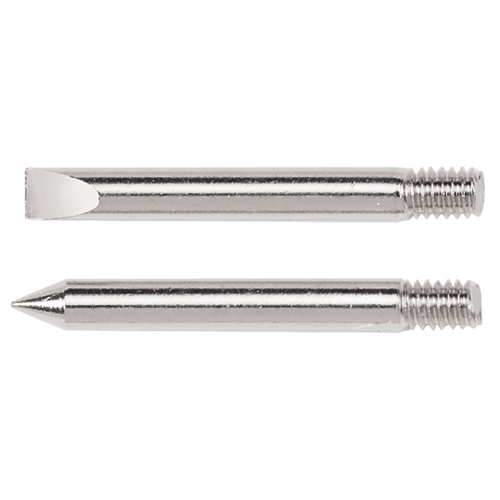 JT-211 Soldering Tips for J-SSA-1 and J-SSD-1. Bevel 45°. 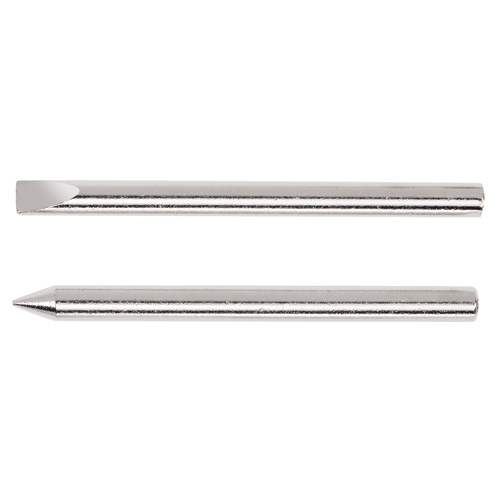 JT-212 Soldering Tips for J-SSA-1 and J-SSD-1. Chisel 1.6mm.